I am proud to be your Labour and Co-operative councillor for Hetton, and more so as we celebrate the 100-year anniversary since women won the right to vote. I have lived in the Coalfields area for the most part of my life and my family have lived here for over 60 years. 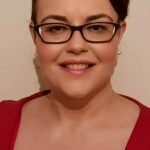 I have spent over 10 years supporting Hetton residents both as a Support Worker and advocate and I currently work as an advocate representing people with health and social care issues. I’m passionate about working with groups on community projects to make a real difference to residents’ lives. Hetton and other areas across the city have been hit hard by the Government’s austerity measures, which have impacted on service delivery and investment in the area and so reliance on community support is greater now than ever before. Hetton faces many local issues including anti-social behaviour, litter and fly tipping. The people of Hetton deserve to live in a community where they feel safe and have an environment they can be proud of and enjoy. I plan to work closely with the community to reduce anti-social behaviour, litter and fly tipping and ensure that the council fulfils its obligations to the Hetton Ward. I will encourage investment for local business and social enterprise to bring growth to the local economy. I will ensure that Hetton has a strong voice and will take action so that we have a community to be proud of.